Medication Therapy Management is nearly as important to the profession of Pharmacy as it is to patients. MTM services keep patients healthier. Embracing the practice of MTM will also keep our profession healthier. Pharmacy has been a great fit for me for over 35 years now. I’ve loved all the different specialties in which I’ve been privileged to practice. Hematology/oncology, home infusion, long term care, community pharmacy, inpatient hospital pharmacies (both big and small). In each specialty there have been ways to help patients and prescribers use medications more effectively. But after obtaining MTM certification and starting to counsel patients in the community, I became convinced that the real power to improve the health of patients lies in the hands of community pharmacists. These are the health professionals who see patients the most, who are in the best position to educate, counsel, and encourage. Indeed, it’s been shown in many research studies that pharmacist-led medication reviews can improve patients’ health and decrease overall healthcare costs. And those of us who have had the opportunity to provide MTM services in the community know that our patients have a high level of satisfaction with the process. Even those who may have been skeptical at first! We find that they often refer others to our services, or call us back for more information. Here’s the problem: Patients generally don’t expect that kind of healthcare from pharmacists. This is a situation that should concern all pharmacists. 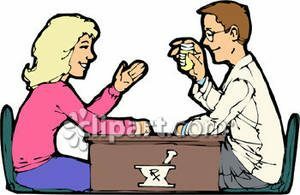 Patients often say that they don’t need the help of a pharmacist because “my doctor does that” or “my nurse always talks to me about that”. Those health professions are filled with intelligent, skilled, and caring individuals. But they do not have the intense, focused education about medications that pharmacists have. This is a problem that only the profession of pharmacy can fix. Pharmacists are the medications experts on the healthcare team. How have we allowed other health professionals to take that spot in the eyes of our patients? Of course there are things that have gotten us to this place. Years ago there was adequate reimbursement for prescription medications. The reimbursement covered not only product, but the professional time required to evaluate the prescription and talk with the patient. Patients knew they could get information from their pharmacist. 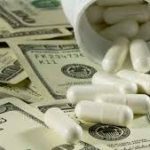 But over the years reimbursement has decreased to the point that the cost of product is barely covered, much less time away from dispensing to actually talk to people. In many pharmacies patients rarely get a chance to talk to the pharmacist because he or she must stay focused on dispensing. There is no time in the workflow of many pharmacies for routine counseling, and the result is that patients no longer expect it from their pharmacists. The dispensing of prescriptions is an important part of the profession of pharmacy, but it alone will not keep the pharmacy profession alive and thriving. We have come to a point where reimbursement for product alone isn’t even sufficient to keep many pharmacies in business. The solution? Offer services that provide value to our customers and bring in needed revenue! Medication Therapy Management is a perfect opportunity to accomplish both of those goals. Over the past decade we’ve seen an increase in the availability of direct reimbursement for clinical services, and that’s a huge and exciting step forward! Community pharmacists can receive reimbursement from national vendors such as OutcomesMTM and Mirixa for services including medication reviews, adherence counseling, and filling gaps in therapy. There are other revenue possibilities as well, and more will become available when pharmacists are finally recognized as providers of healthcare at the federal level, allowing us to bill payers directly for our services. Medication Therapy Management will provide value to the pharmacy profession. But pharmacists will need to work together to find creative ways to make MTM a routine part of community pharmacy practice. We’ll need to take every opportunity to interact with both patients and prescribers in order to make them aware of our ability to improve health outcomes. Advocate for our profession at the local, state, and national levels to be recognized as health care providers. It’s up to us to raise expectations, provide care, and demand adequate reimbursement. Let’s go! Betty Chaffee, PharmD, is owner and sole proprietor of BetterMyMeds, a Medication Management service devoted to helping people get the maximum benefit from their medications. 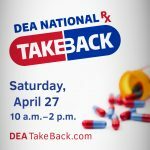 Disposing of unneeded medicine keeps everyone safe! 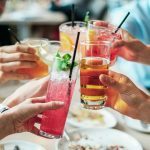 Alcohol’s effects on chronic disease — Good or Bad? 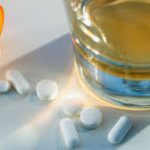 Alcohol – is it REALLY that harmful to drink when I’m taking medications? April is National Alcohol Awareness Month!